MTV’s quirky take on World Blood Donor Day! On the occasion of World Blood Donor Day, MTV launched a new campaign titled Pehle blood donate karo, baad mein show off karo. As part of the MTV Blood Donor Day campaign, a video was posted on MTV’s official Facebook page. 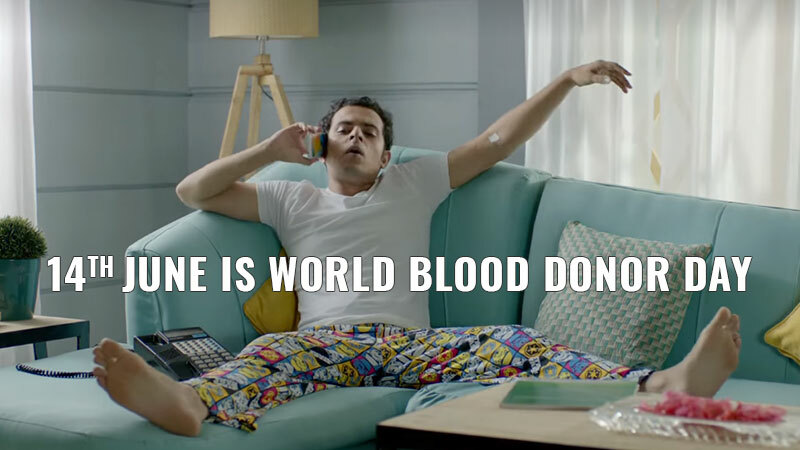 On World Blood Donor Day, MTV has created a quirky film to captivate youth’s attention citing reality through humor. The video showcases how a young boy enjoys flaunting his noble deed of donating blood for constant attention till someone gives him a reality check that it’s “NO BIG DEAL TO DONATE BLOOD.” The aim of this film is to convey that it’s okay to brag about your acts but first, focus on performing them right rather than seeking attention. Pehle blood donate karo, baad mein show off karo. 14 June is #WorldBloodDonorDay. Call 02240500400 to donate. MTV started a helpline number too, 022-40500400 to urge people to donate blood. June 14th is observed as World Blood Donor Day all over the world.